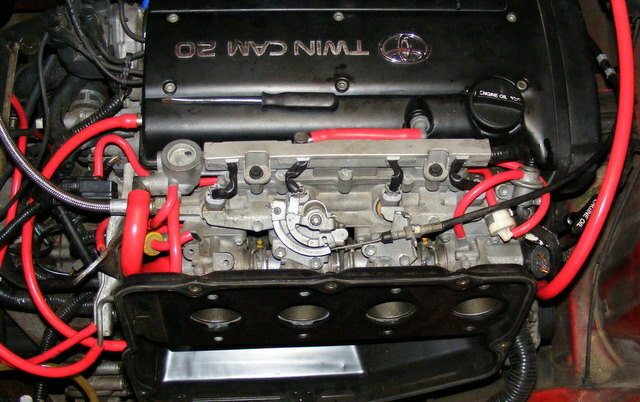 The engine in the MR2 is supported by 4 engine mounts. 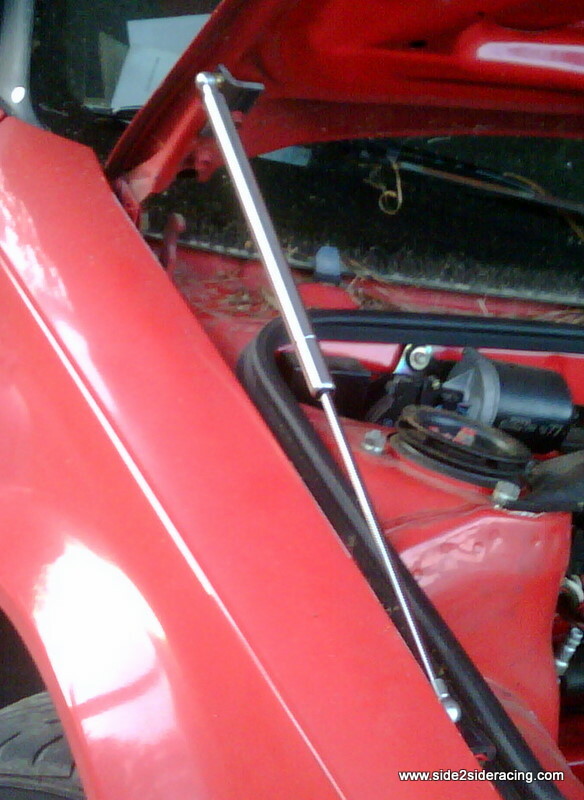 The transmission end and timing belt end mounts support the full weight of the drive train, while the front and rear mounts control the torque produced by the engine. With age, heat, and possibly a little more power than Toyota intended, these front and rear mounts deteriorate over time and allow the engine to move too much under acceleration and engine braking. A hard launch can lurch the engine back and forth violently, and reduce the amount of power actually transmitted to the ground. The Speed-Source Polyurethane Engine Mount Kit is engineered to replace the stock rubber front and rear mounts with solid polyurethane. A steel insert keeps the poly mounts centered and locates the thru-bolt. Included in the kit are 4 identical polyurethane bushings, 2 metal spools, and fully illustrated instructions. 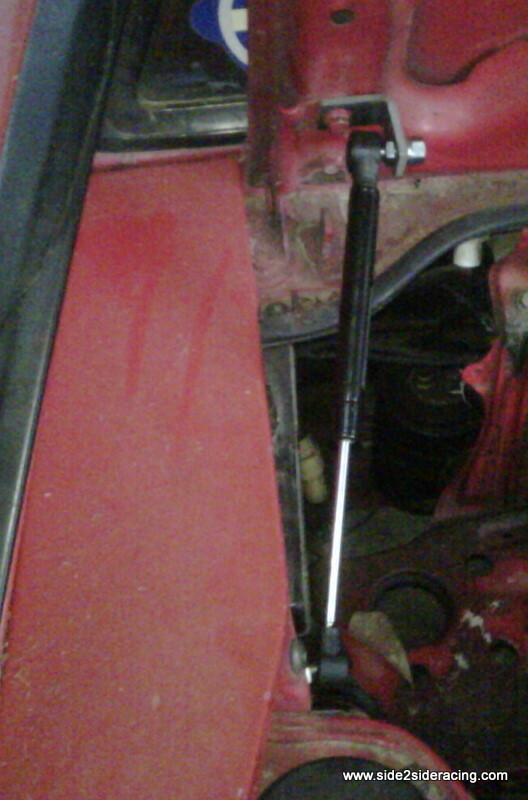 These mounts will fully replace the old rubber, not merely fill the holes in them. They are commercially formulated, vacuum-poured, and post-cured. The metal spools are zinc-dichromate plated for corrosion resistance and should give years of trouble free service. 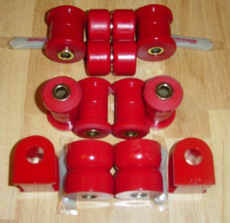 Red bushings are Shore 75A hardness formulation. 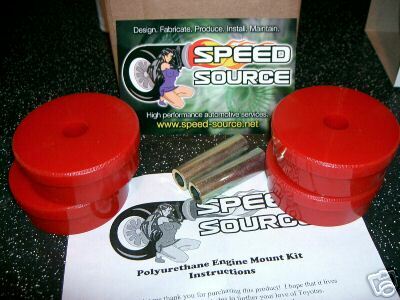 While any urethane engine mount will increase the level of vibration felt in the cockpit, Speed Source found the Shore 75A mounts to give little objectionable increase on cars with stock mufflers.